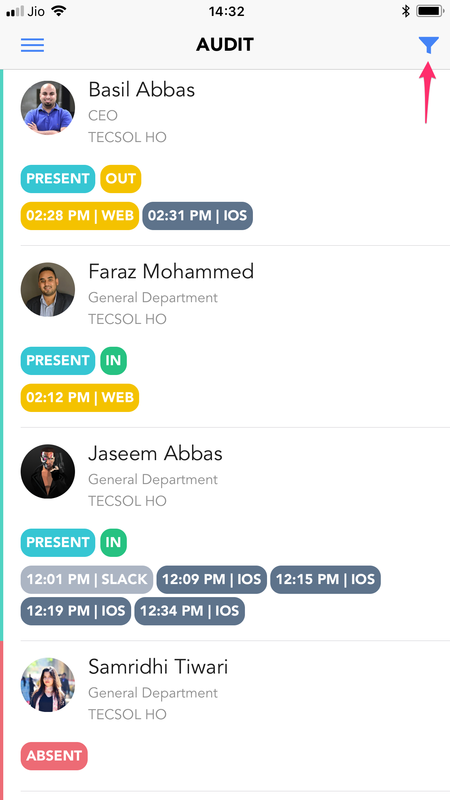 Know more about attendance audits and how to view them on mobile. The attendance audit is a report format that gives your an immediate glance of your company attendance. There are two types of attendance audits. 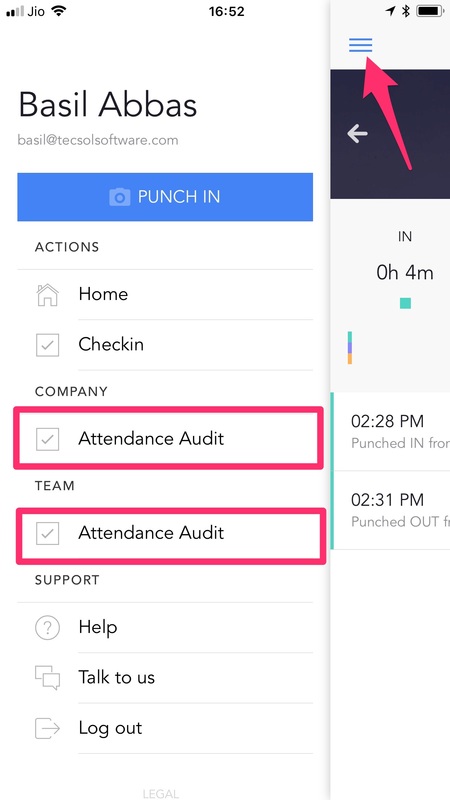 Attendance audits for your team. 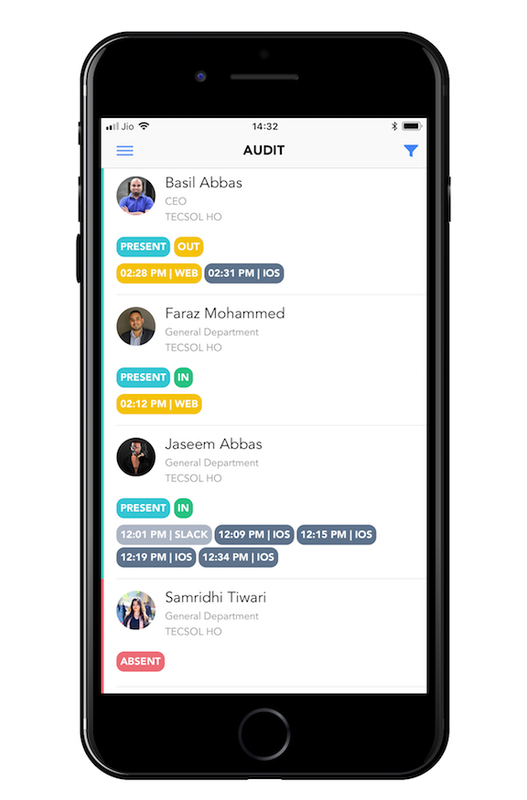 Attendance audits for your entire company. 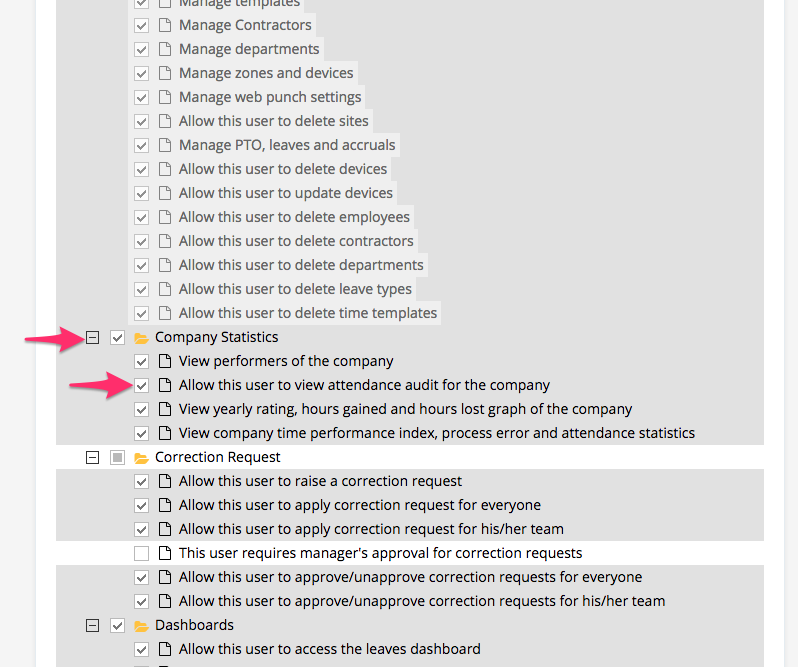 Both these audits are enabled via permissions that can be set using groups and permissions. Know more about groups and permissions. 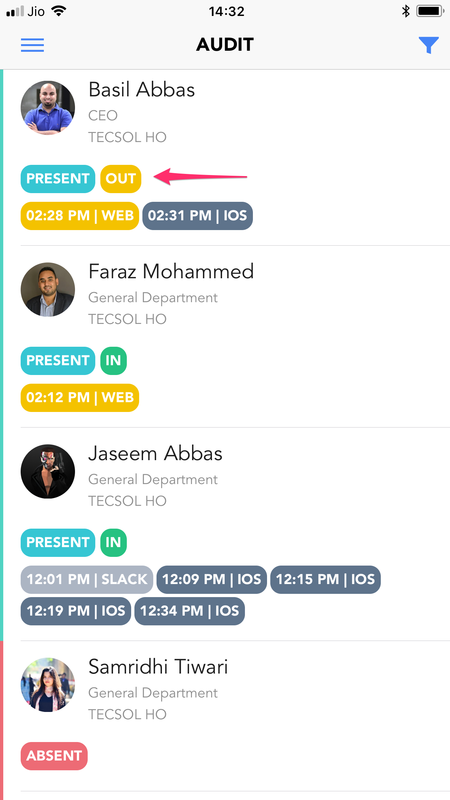 Depending on the permissions that are set on your account, you can see the attendance audit by clicking on the menu. 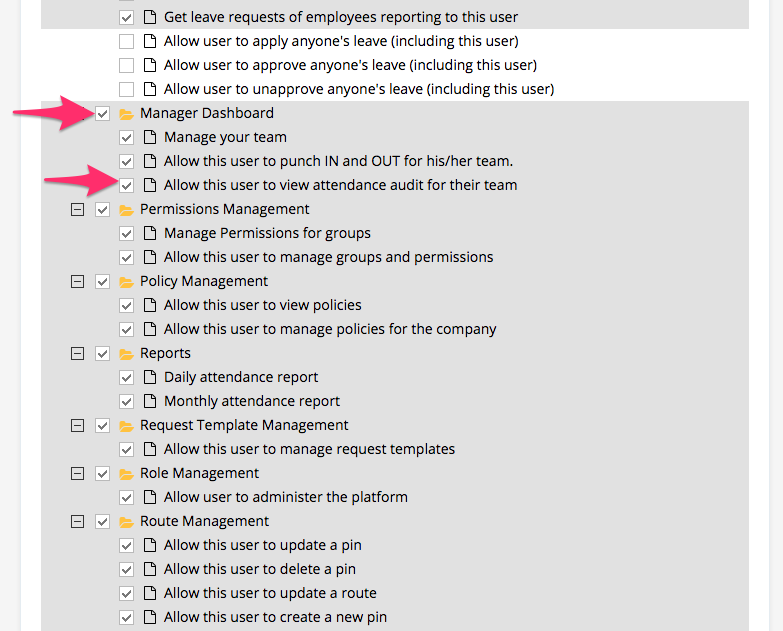 Note: These are the same permissions that are set to view the attendance audit on the web. The attendance audit has two parts, the current status and the punches. The current status tells you if the employee is IN, OUT, Present, Absent etc. The second part tells you how the employee has clocked in and out. The attendance audit also tells you from where the punch was registered. You also have the option to filter the data on this view. For example, you can see only the employees that are absent. If a filter is applied the colour of the funnel will turn red.